New Orleans native Miguel Barrosse discovered Tipitina’s as a teenager—soaking up whatever act the legendary club had going on from a national rock act to a local band. The club’s system also features new Crown I-tech amps for FOH and Crown XTi amps for our monitors, which are JBL STX 800s. A new Soundcraft VI3000 console serves FOH, with a Yamaha M7 moved from FOH to monitor position. Tipitina’s, in its present incarnation, has only been around since 1977 but is inexorably associated with the late great Professor Longhair’s 1954 tune, ‘Tipitina.’ Located on the corner of Napoleon and Tchoupitoulas in the Uptown New Orleans neighborhood, the club is in a 1912 building that has served as everything from a boxing gym, produce market, brothel, and venue called the 501 Club, named for its street address. Today, some 800 SRO patrons enjoy live shows from freeform jazz to rock, African drumbeats, and Euro sounds on four to five shows per week, two each night during Mardi Gras and Jazz Fest. The encyclopedic list of performers who have played/recorded there include the Neville Brothers, Dr. John, Anders Osborne, Troy “Trombone Shorty” Andrews, and Dr. Longhair himself. 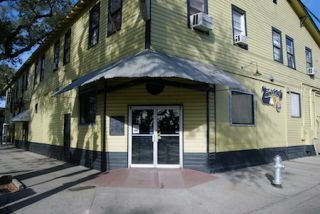 The club also is celebrated as the birthplace of the Tipitina’s Foundation, a charity focused on protecting and preserving the musical culture of New Orleans and Louisiana.